Have you thought about the kind of love you desire in your intimate relationship? Have you thought about what that kind of love feels and looks like? What about ‘why’ you want that kind of love in the first place? Often, the ‘why’ is more important than the ‘what,’ as such probing drills down to your intent and motivation, especially if you are honest with yourself and open to learning and growth. Is it because your parents modeled that type of marriage and, whether you agree with it or not, you have internalized it? After all, how could you not? Our parents are one of our biggest influencers in our formative years. Or, is it due to all the fairy tale endings in romantic movies and books that have seeped into our thoughts as if through osmosis? Despite our fierce independence and impressiveness, we women are not impervious to the constant barrage of socially driven messages. My experience as a dating and relationship coach based in New York City confirms that men and women strive for love that is convenient and safe, not what illuminates us to our core. For example, we might start dating in a competitive market like NYC with a checklist in hand of what our potential long-term mate should look and read like. Stereotypically, women tend to gravitate toward successful and smart men who can provide security and safety. If he has a sense of humor and is tall, these factors are an added bonus. Men, on the other hand, typically prefer dating younger women. And I get that. This way, there is less “pressure” or “rush” to settle down, get married and have children right away. This idealized version of a relationship, concocted in our mind, has not worked. When we hold on to such strong preconceived notions of what a love relationship and partner should be, we miss out on amazing people who may be able to fulfill better what we need emotionally. After all, when the luster of infatuation disappears - and it always does - what we want in our partner is someone who sees us, accepts us and loves us for who we are. That kind of intimacy is driven by our emotions, and not our looks, bank account, height nor age. Dating for long-term commitment does not start with a checklist of the external qualities you desire in your future mate. It starts with you. That’s the great news and the bad news, depending on how you look at it. The rapport you have with your potential mate starts with an absolute clarity about who you are, what you want in love and why. It starts with a stark honesty and “radical self inquiry” on what has not worked for you in the past and what will not continue to work in the future. In other words, there is data to mine since you are the only commonality amongst all of your relationships. I am not saying every relationship ended because it was your fault. I am suggesting looking at the factor we can control: you. It is impossible to get in love what you are not willing to become. You radiate your fundamental energy and that energy comes back to you. You attract what you are. Do not settle for the convenient and the safe. Instead, go after what disrupts because if you have not gotten the results you desire by now, then, you need to stop doing something old to get something new. If you think that your standards are too high and no one can meet them or there are very few quality men, or women, left, then let’s start over in this new year. Let’s shift our thinking. Your thoughts dictate your emotions and your emotions drive your behavior. Change your thoughts and you can change your life. Take some time to figure out who you really are at the core, not what your parents said you should be, not what your friends or society thinks is acceptable. Figure out what you truly desire at the recess of your heart. Start by focusing on the internal stuff, like your values, and not so much on the external. Once you decide, go after what you want relentlessly and with a sense of urgency, the kind that aligns your heart, mind and soul and propels you toward the life you deserve. Make 2018 your best year yet. Manifest your heart’s greatest desires. P.S. If you enjoyed this blog, share it with friends who may welcome a fresh perspective and a strategic approach to dating successfully. P.P.S. 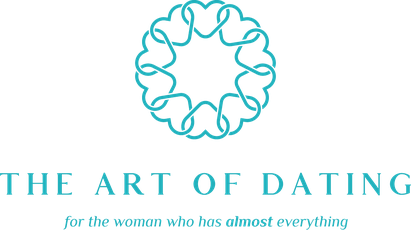 For more information on working with a professional dating coach, email eunice@artofdatingnyc.com.